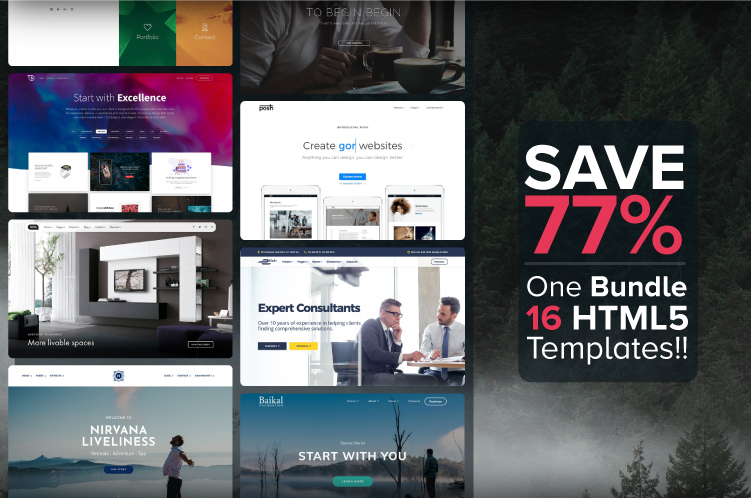 Get 16 HTML5 Bootstrap Templates @77% Discount! WOW!! this is actually a huge discount. Thank you guys! I wanted to buy Slick and look now i am getting a lot of other templates too! it's cool! Thank you team ThemeWagon for making this bundle offer. I appreciate this. Especially I love Slick. Keep it up guys! It's really amazing to have such high quality premium templates with a huge discount, Thanks ThemeWagon. You people made my day, man! I always read your content.